Local snow-pack, Navajo Reservoir water level, and San Juan River flow information. Links to informational/educational websites related to crop management and irrigation. Updates on legal, political, or environmental issues that may affect water-rights holders. Tip sheet - Table of Contents pertinent to agricultural and landscape irrigation management in the HCD. List of upcoming water-related conferences, workshops, meetings, etc. The construction, operation, and maintenance of the Hammond project were authorized by congress in 1956. 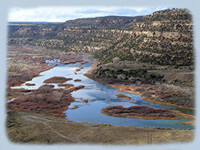 The purpose of this U.S. Bureau of Reclamation (BOR) project was to divert, store, and distribute water of the San Juan River for irrigation purposes on approximately 4000 acres of arable land stretching for 20 miles along the south bank of the river from Blanco to near Farmington. 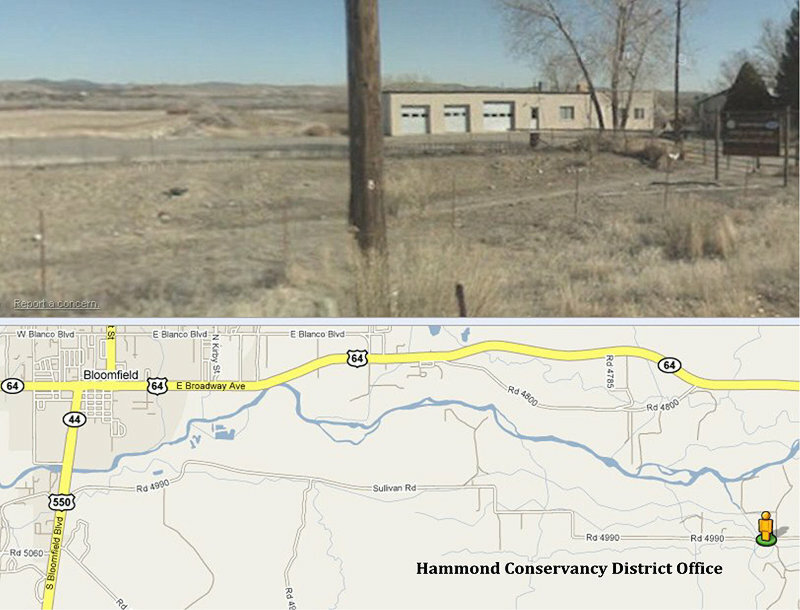 For a complete description and brief history see: http://www.usbr.gov/projects/Project.jsp?proj_Name=Hammond+Project . The project was turned over to the Hammond Conservancy District (HCD) for operation and maintenance in 1974. The HCD is a non-profit Special District organized under New Mexico Statutes [73-14 (1978)] and is governed by an elected Board of Directors. The HCD claims rights to 26,705 acre feet of Colorado River Storage Project (CRSP) water and the BOR has prepared a Water-Use Analysis (this is a large PDF file that will open in a new window), to document and support the need for this water right. 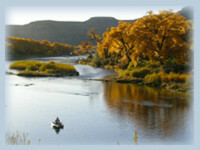 The CRSP was implemented to develop water resources provided by the Colorado River Compact of 1922. 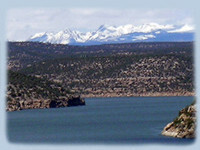 As with all water-users within the San Juan Basin, however, the actual amount of water available to satisfy claimed rights is governed by precipitation, particularly winter snowfall, that occurs in the San Juan Mountains of southwestern Colorado and the volumes stored in Navajo Reservoir. To address potential water shortages while avoiding litigation, the HCD, along with other water-users in the San Juan Basin, have participated in a shortage sharing agreement since 2003. 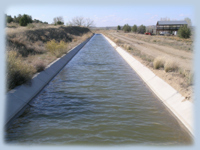 In 2002, the HCD developed a Water Management Plan (Jim Dyer - Consultant) to assess the state of water management measures related to efficient use of project waters, and to identify, plan, and implement any improvements needed in that management.This website is one of the outcomes of the educational component of that plan.